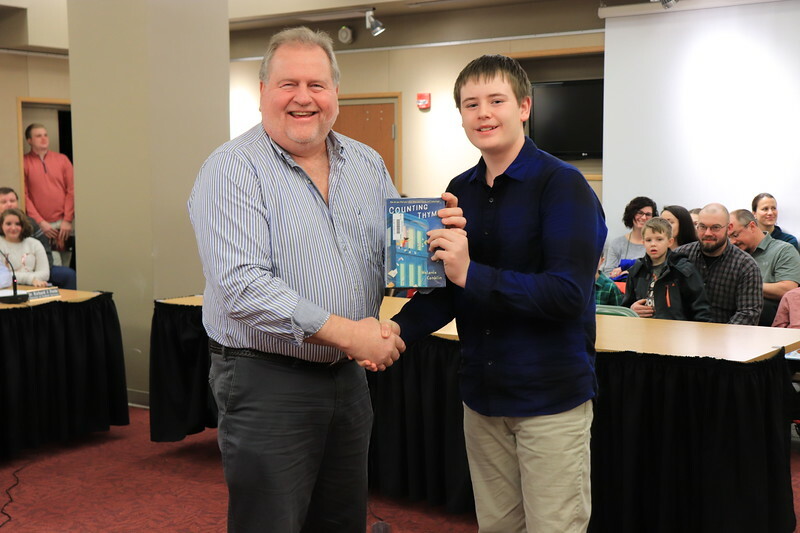 Last night, in recognition of #WASD school board members, students from across the district honored them for their service by presenting them with a brand-new book for installation in their respective school libraries. Each of the books is dedicated to the individual board member with a nameplate on the inside cover. The annual ceremony is done as part of January's National School Board Recognition Month. We thank all our board members for their time, dedication and service to the WASD! Patrick Dixon is presented with "Counting Thyme" by Chais Shief from Williamsport Area Middle School.